Odessa, Ukraine - Retexlab LLC is today proud to announce the release and immediate availability of Top Contacts 1.0, their advanced contact manager for iPhone, iPad, and iPod touch devices. 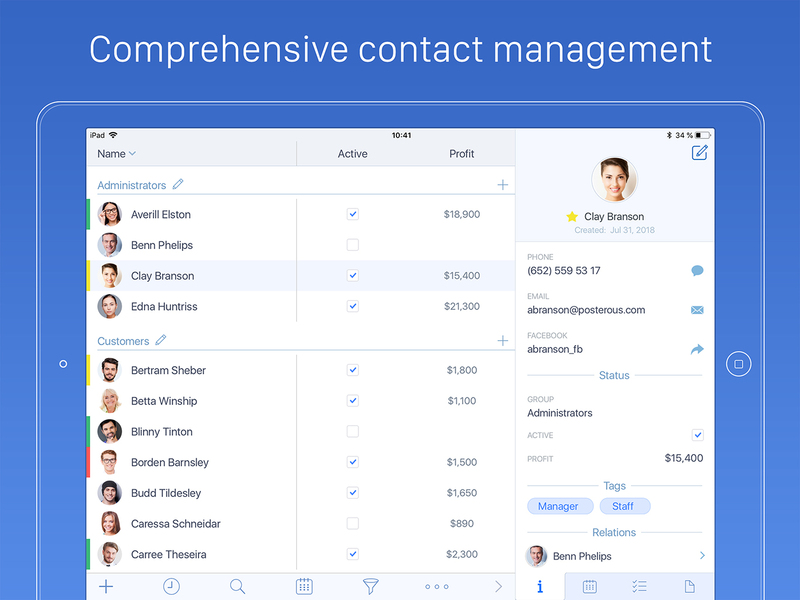 Top Contacts brings powerful CRM features to a user's list of contacts. Anyone can log all relevant information for each contact in the app, including information, events, tasks, and files. 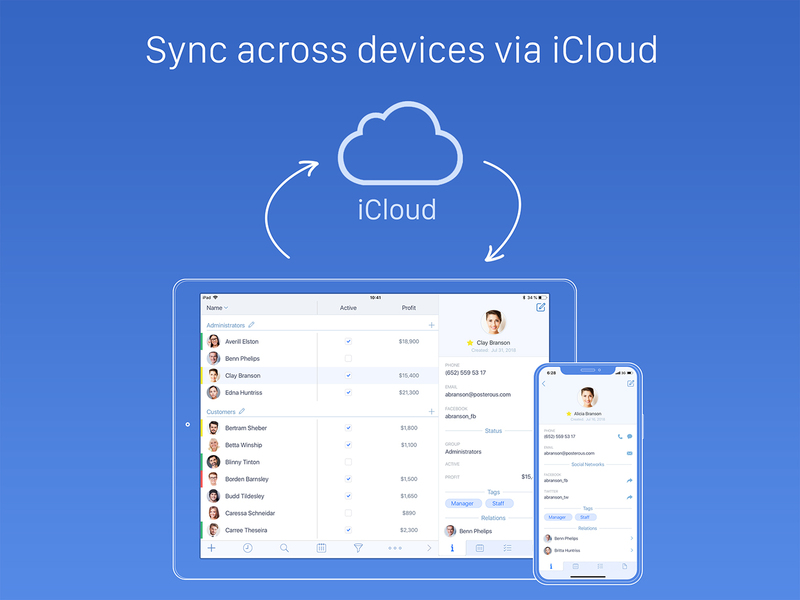 "Until now, users were forced to either deal with the overly simplistic interface of the default iOS Contacts app, or they had to deal with complicated customer relationship management apps," says Retexlab owner Denys Yevenko. "But Top Contacts combines the advantages of both apps, offering true CRM features with an easy to use interface." It's easy to navigate the contact list and turn those connections into relationships. View contacts in a traditional list view, or switch to table mode to allow viewing and editing contact fields without the need to open the contact card. Top Contacts offers quick access to recent contacts, providing an easy way to call, send an email or a text message with just a few taps on the iPhone's screen. The app's powerful calendar and to-do list is available for all contacts, providing a separate calendar (with two views), and to-do list for each contact. Reminders can be set for important events or follow up calls, and support for recurring events is available. Users can also assign tasks and events to one or many contacts, and an easy-to-use search function helps users find calendar events. By using the Top Contact app's advanced filtering features provide customizable filters that can be configured with multiple conditions. Filter templates can be saved and applied with a single tap. Based in Odessa, Ukraine, Retexlab (the new business name of Xwavesoft) is a privately owned software development company, founded in 2009. The main goal is the development of productivity tools for iOS and macOS that implement widely known and most effective productivity techniques to help our customers maximize their time, avoid burnout and get rid of procrastination. All Material and Software (C) Copyright 2018 Retexlab LLC. All Rights Reserved. Apple, the Apple logo, iPhone, iPad and iPod are registered trademarks of Apple Inc. in the U.S. and/or other countries. Other trademarks and registered trademarks may be the property of their respective owners.